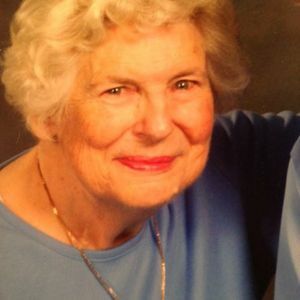 Mary Dee Davis of Mount Vernon, formerly of Wilmington, North Carolina, passed away on November 5, 2017, surrounded by her family, at 86 years old. Mary Dee was born in Bronxville, NY on May 7, 1931 to Robert and Dorothy Emison. She spent her early years in Bronxville and then moved to Sleepy Hollow at age ten with her sister, Anne and her parents. She attended The Masters School in Dobbs Ferry for Middle School and High School. Mary Dee attended DePauw University in Greencastle, Indiana where she was a member of the Kappa Alpha Theta sorority. Mary Dee remained close to her sorority sisters, writing letters regularly throughout the past 65 years. At DePauw, Mary Dee received a bachelor's degree in Home Economics. Most importantly, it was at DePauw University where she met her husband of 61 years, Phillip Davis. Mary Dee and Phil were married in 1956. They lived in many parts of the country, including New York City, Washington DC, Long Island and Cleveland, before finally settling in Birmingham, Michigan where they lived for 28 years. Together they raised three children: Robert, Bradley, and Sandra. Mary Dee was a homemaker and devoted mother and wife who embraced her family with a beautiful boundless love. She eventually joined her husband in Real Estate with Coldwell Banker for fourteen years. She was an active member at Kirk in the Hills Church in Bloomfield Hills, MI. and Kensington Community Church in Troy, MI. They eventually retired and moved to Wilmington North Carolina where they could be close to Phil's sister and brother in law, Nancy and Phil Smith and care for Dorothy, Mary Dee's Mother. Global River Church became another wonderful family to them. They grew in their faith and love for God and spent fifteen years of their lives in Wilmington, before moving to New York to be near their children and Mary Dee's sister Anne. In addition to Mary Dee's love for her neighbors and close friends at church and Sunrise, Mary Dee and Phil loved playing games, finally settling on backgammon. They kept score, recording over 45,000 games together in her lifetime. If not at the backgammon board, she could be found reading, discussing politics or studying her Bible. Mary Dee will be treasured forever for her gracious, humble spirit and love for everyone she met, always bestowing an unconditional love upon her family. She had a sharp mind which remembered the smallest concerns of others, keeping them often in her prayers. Mary Dee is survived by her husband, Phillip C. Davis, their sons, Robert (Kim) and Bradley (Imelda), daughter Sandra (Keith), and nine grandchildren: Rebecca (Todd), John, Jeffrey, Luke, Andrew, Matthew, Jessica, Christopher, and Julia. Sister, Anne Emison Harmon (Deceased) and Howard Harmon, sister and brother-in-law, Nancy and Philip Smith, nephews, Jamie, Philip (Caroline) nieces, Cynthia (Rand), Julie (Ugo), and seven grand nieces and nephews. A celebration of Mary Dee's life will take place at the Pelham Funeral Home located at 64 Lincoln Avenue, Pelham on Saturday, November 18th, from 8:00 to 10:00am. A Christian service will take place at the Woolworth Chapel in Woodlawn Cemetery, Bronx NY on Saturday, November 18th starting at 10:30 am. Interment will follow at Woodlawn Cemetery. 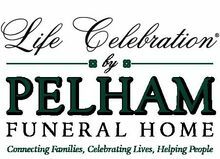 For more information or to leave a condolence, please visit www.pelhamfuneral.com. Donations may be made to Opengate (School for Autism) S 29 Warren St, Somers, NY 10589 or Global River Church, House of Mercy Ministry, 4706 South College Road, Wilmington, NC 28412.